Varun Dhawan in love with Alia Bhatt? His reaction will leave you confused! 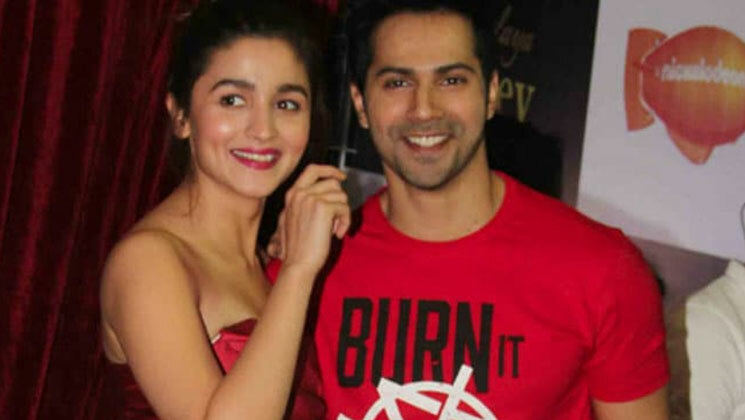 Home Bollywood News Varun Dhawan in love with Alia Bhatt? His reaction will leave you confused! Bollywood actor Varun Dhawan has become one of the biggest stars in the industry currently. The chocolaty and handsome actor had made his debut in Karan Johar‘s ‘Student Of The Year‘ in 2012. And the rest as they say is history. The ‘October’ actor is yet to give a flop at the box-office and that shows how much class and pedigree he has. Now, Varun appeared on Arbaaz Khan‘s web show ‘Pinch’. The actor was at his candid best and was quite chilled out on the show. On the work front, Varun Dhawan will be seen in Abhishek Varman’s periodical drama ‘Kalank’. This magnum opus will see Varun playing the character of Zafar. ‘Kalank’ also stars Alia Bhatt, Madhuri Dixit, Sanjay Dutt, Sonakshi Sinha and Aditya Roy Kapur. The film hits the screens on April 17. He also has ‘Street Dancer 3D’ alongside Shraddha Kapoor. This film is scheduled to hit theatres on November 8, 2019.